There was no mention by Senator Feinstein that CIA Directors under Presidents Bill Clinton, George W. Bush, and Barack Obama are all on the record stating enhanced interrogations worked. 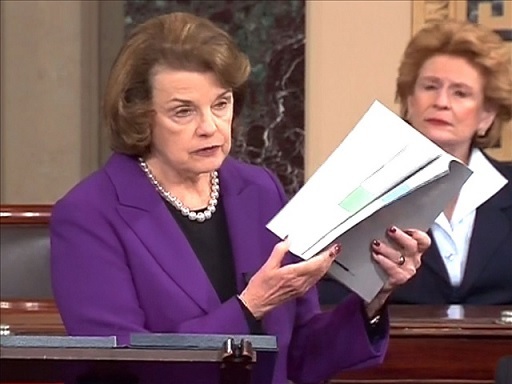 During all her years on the Senate Intelligence Committee, Senator Feinstein never introduced legislation to ban enhanced interrogation techniques. Her report made no recommendations which is the main oversight function of the Intelligence Committee. Successive DOJ investigations by the Bush and Obama administrations brought no charges related to the use of OLC-approved EITs. Does any rational person truly believe Attorney General Eric Holder would not have prosecuted CIA officers and contractors had he found evidence of torture? We are still at war; Americans are getting their heads cut off by terrorists driven by the same ideology that drove 19 hijackers to slaughter 3,000 men, women, and children on 9/11. The CIA’s TAB C rebuttal ‘Information on the Courier that Led to the UBL Operation‘ and all 20 of it’s detailed debunkings are stark evidence that Senator Feinstein’s “study” is a $40 million dollar pack of deliberate distortions. 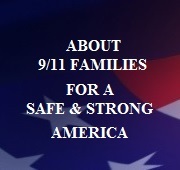 9/11 Families for a Safe and Strong America stands with those who did what was necessary to prevent further attacks. We know that the CIA saved lives. We are saddened by the political partisanship that divides, and fear for our homeland and those that serve it abroad in harm’s way. More bitter days may lie ahead; America can and must rise together as a Nation once again. Post updated at 11:16 a.m. December 11, 2014. The spelling of Dianne Feinstein’s first name was corrected. “I can’t really enter the mind of Barack Obama or George Bush to know what they really know and what they really believe. I only know what the facts are. I only know that in fact just because they’re violent doesn’t mean they are not a religion. And in fact there are some fifty different descriptions of violent jihad in the Koran. “Not only that, the Koran goes into gross detail on how to dispatch an infidel, striking at the throat, cutting off the hands and the feet. And remember this isn’t something we interpret — some people say the bible is an allegory — these are the perfect words of Allah that transcend all time and space, and in fact to say Allah didn’t actually mean what he said through the prophet Mohammed in that moment is blasphemy under Islam. 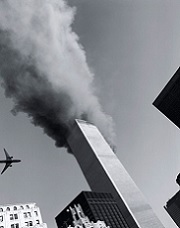 At 9:03 a.m., on 9/11, terrorists crashed United Airlines Flight 175 into the World Trade Center’s South Tower. Four minutes later, the FDNY’s Battalion 7 Chief, his aide, and five firefighters from Ladder 15 — led by my wife’s brother — arrived in that tower’s lobby. 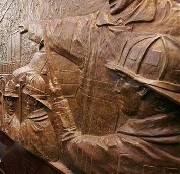 While a FDNY City-Wide Tour Commander set up the command post there, a Deputy Chief (4 Bravo) moved from there to Tower 2’s staging area at West and Liberty Streets and the Battalion 7 Chief attempted to establish communications with the Battalion 1 Chief at the command post in the North Tower. Once they all reached the 40th floor, they began the ascent, with each carrying 60 to 80 pounds of gear. While climbing, they received a report of a way to those trapped above the fire floor from the “Director of Morgan Stanley” whom is believed to have actually been Morgan Stanley’s head of security. Ladder 15 also received a report of another plane (probably while monitoring other radio channels). Additional units began arriving on the 40th floor. This audio runs from approximately 9:21 to 9:35 a.m.
Judy Wein, survivor: Gigi [Singer] and Judy, along with a man she had never before met [Ed Nicholls, also of Aon, who is interviewed separately] headed into the stairs. One at a time they moved down. Judy moved quickly down the stairs, so fast that she left Gigi at times behind her, one or two flights. Gigi would yell out Judy’s name on occasion, Judy announcing the floor numbers as they went down, 60, 55, 53. It was somewhere in the 50s that they encountered the first firefighter, she said. They were moving in small packs, carrying a load of heavy equipment, which clearly slowed them down. She told them that there were many injured people on the 78th floor, please help them. And they continued up. They told her to keep going down to the 40th floor, where there was an elevator bank. Her legs were trembling by the time she got there. She encountered two security guards and a firefighter, they told her to calm down. Not to rush. Take her time. But Judy just wanted to get out. An elevator came. Within another 10 minutes, they were outside. 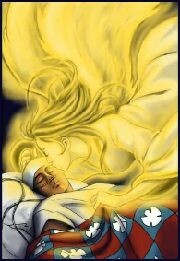 She was in the ambulance. The door was closed. She heard a noise. She turned to look. 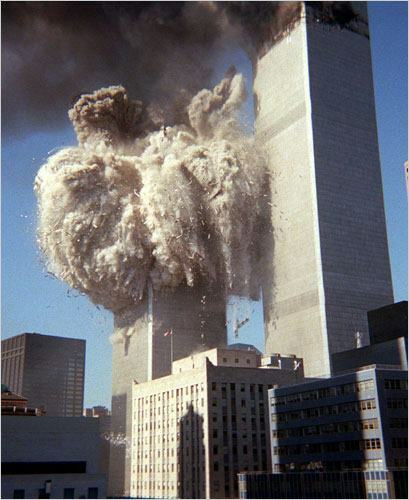 The south tower was coming down. Ling Young, survivor: At the 51st floor, she met two firemen, and one of them decided to go down with her. She wasn’t aware of the fact that he had joined her until they got to the 40th floor, when he told her they could take the service elevator the rest of the way. 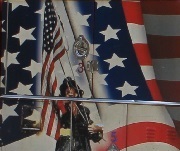 She got out to Church Street, where she was placed in an ambulance. Moments after the ambulance pulled away to take her to a hospital, the tower she had been in fell to the ground. 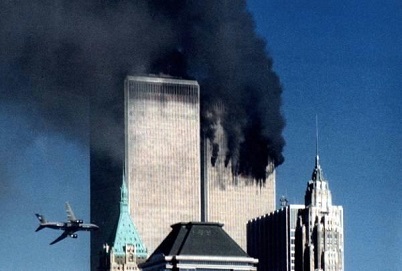 The audio went silent at 9:59 a.m., when the South Tower collapsed. 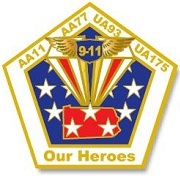 Editor — To view individual tributes to those killed, please visit Legacy.com. Originally posted September 9, 2007. Please take whatever time you need to remember them all. * Notes: This list contains no duplicates. 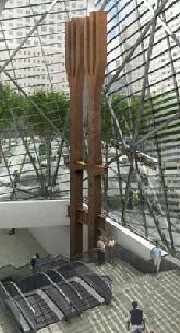 Two firefighters with the same name, Michael Francis Lynch, assigned to Engine 40 and Ladder 4, died at the World Trade Center on 9/11. The latter Lynch was posthumously promoted to Lieutenant. Originally posted on Sep 5, 2009, at 8:46 am. President Barack Obama said on Friday, “In the immediate aftermath of 9/11, we did some things that were wrong. We did a whole lot of things that were right. But we tortured some folks. We did some things that were contrary to our values.” Yet the Department of Justice has twice closed investigations of alleged torture by the CIA without filing charges against anyone. Obama’s remarks were not only politically self-serving and contrary to the findings of fact, they went viral in the Muslim world and provided Islamist radicals with ready-made propaganda with which they will recruit many to the jihad. If you listened, you heard Mr. Rodriguez tell of how the enhanced interrogation program was developed and that it was briefed to leaders in Congress in August and September of 2002, including those on the House and Senate intelligence committees. “The intervening ten years we were up against all kinds of threats, a second wave of attacks. We also knew they had a nuclear program, they had a biological weapons program, they had operatives that were coming after us, and the enhanced interrogation program gave us the intelligence that allowed us to capture all of them or kill them. We were actually able to decimate al Qaeda because of this program. What we did right after 9/11 included not rewarding unlawful enemy combatants with the Geneva Conventions protection to not answer questions. Overwhelming, Americans believe those protections should only be provided to lawful enemy combatants who follow the Rules of War. My family and I thank those who did what was necessary to defend our Nation. The Senate Intelligence Committee’s 6,000-page deception about the effectiveness of EITs and President Obama falsely claiming that detainees were tortured will not diminish our appreciation.